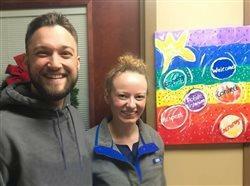 MERIDIAN, Idaho, March 14, 2019 /PRNewswire/ — Scentsy’s new charitable cause warmer, When Life Gives You Lemons, is poised to bring a little light, warmth and hope to the families of children battling cancer. Twice each year, Scentsy, a leader in international fragrance, creates and features a product specifically to benefit charity. 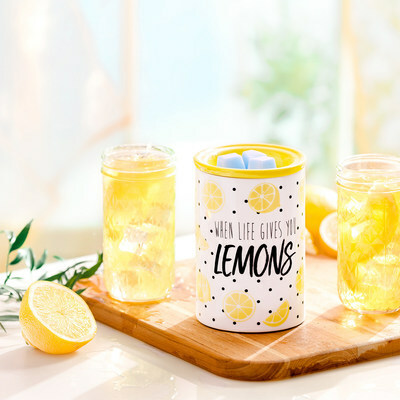 Starting March 1, Scentsy will raise money and awareness to support Alex’s Lemonade Stand Foundation through the sale of the When Life Gives You Lemons warmer. A bright, white porcelain warmer with cheery lemon slices and black polka-dots, this warmer glows softly when lit, and safely and gently warms fragrant wax without the flame and soot of a traditional candle. Scentsy will donate $8.50 ($11.50 in Canada) from the sale of each warmer to help fight childhood cancer. 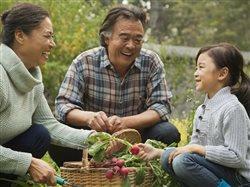 Since 2010, Scentsy has donated more than $10 million to charities around the world. The When Life Gives You Lemons warmer is available through Scentsy Consultants starting March 1. Visit www.scentsy.com to learn more. *All amounts listed are in USD.